Trends keep changing and improving as time passes by. The business web design elements that worked for you at the start of 2018 may still be alive and kicking until now, but since there are just a few months before 2019, you may need to update your design in order to acquire more web traffic. If you’re ready for a change and improvement to make your business stand out before this year ends, keep reading. The success of the flat design seems unstoppable. It’s not only because it’s clean and simple but because its minimalist design provides a better mobile and desktop performance. 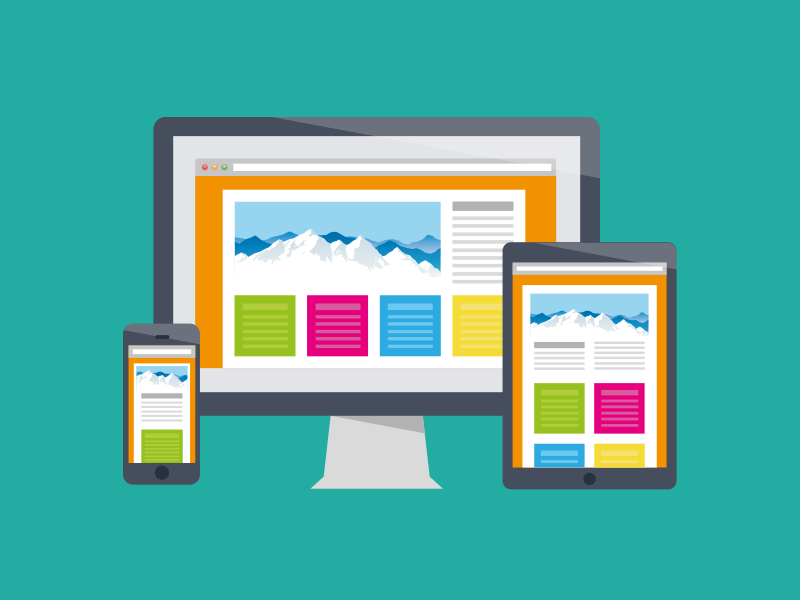 With a clean and minimalist design, mobile users and desktop browsers can experience a quick-loading website and they can also hold high SEO value. But it doesn’t mean that the appearance of your business site and personal blog will be boring. To make the flat design a success, you need to use bright colors, bold lines, and hi-res images so your potential customers will have an eye-catching and engaging experience on your website. Animations are popular nowadays. Most businesses use this to make their websites more interactive, and enhance the site’s experience for potential customers. These micro-animations or integrated animations include drop menus, hover-buttons, and a new menu or pop-up when you hold the mouse on different page sections. All of these animations help your user or potential customers navigate the website in a different level. Not only are they captivated, but they also opt to stay on the page longer than a non-animated site. Videos never fail to entertain users especially if the video is interesting. They are going to be curious and want to watch what will happen on the video you use on your website. Because of this, videos keep the viewers on your page a little longer. Also, the message that you want to address your potential customers is delivered faster using video than text. Whenever you want to say something, say it boldly. Now is the time to cut and remove those cursive and thin-lined fonts that you once have. You need to be transparent and upfront about your message because you’re only given one chance to tell it to your potential customers. If your brand is a little bit femme, no worries. There are lots of bold fonts that suit every type of business needs. It’s called Hamburger Menu because it has three parallel horizontal lines that look like a hamburger, which are then used as a button on the website. It’s a cute icon that opens up your main menu when you click on it. It’s commonly used on websites and apps because it gives an easy way to provide a menu with a little amount of space on it. Bots or chatbots are really not new things to use in your website. However, businesses will benefit a lot from chatbots because they allow for a smooth communication with potential customers. They don’t only serve as an autoresponder feature to help your potential customers and users. They also gather relevant data about them which you can use in the future. By incorporating these web design elements into your business site and personal blogs, your site will surely stand out among others.